We have sorted out these models according to their respective categories. And these are Home & Office, Hobby, Architectural, Arts, Toys & Games, Sciences, Prototyping, Fashion, Gadgets, and Mini-Mes & Bobbleheads. 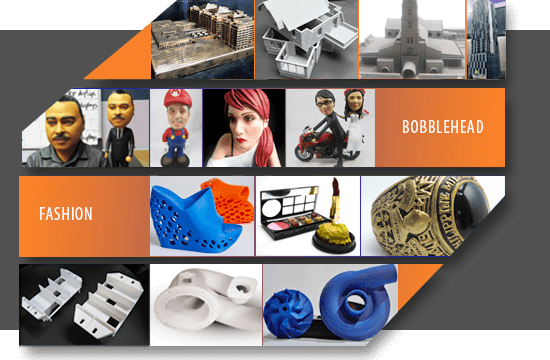 3D2go Philippines 3D Printing Services – What is 3D printing and how does it work? This is how we do it @ 3D2go Philippines! Check this out! 3D printing or additive manufacturing is a process of making three dimensional solid objects from a digital file. The creation of a 3D printed object is completed using additive processes. An object is created by laying down successive layers of material until the entire object is formed in an additive method. Each of these layers can be seen as a finely sliced horizontal cross-section of the final object.